Why is it raining on my face. I didn't really know what to expect, I just searched for "cat" and thought oh this will be a light hearted slice of life about a girl and her cat! Unfortunately I was proven very wrong by this simple, beautiful, and short series. The series is a whispered honesty, a sigh. I’m still baffled how a work can be so soft and striking. The most obvious point would be its proclamation on the intuitive and emotional bond owner and pet share, and the power such a bond possesses over the two parties. Most owners will recognize the ties of love and loyalty that weave our two characters together. As a young women who moved halfway around the world with just her cat with no connections to speak of, the series hit very close to home. I was reminded of the shattering loneliness, the dependency for my cat's affection and presence in my life, the frustrations of feeling like I should be farther along than I was in life–that I should be more than I was in life. Perhaps what makes this series so impactful is not the bond we share with our pets, but what that bond shows us about ourselves. I’ve asked my cat many questions in our short years together; I’ve told her things I do not think I could have told myself. In my struggle with mental illnesses, thoughts of suicide and self-harm, she offered me refuge with a soft purr and some gentle licks. I have never felt more understood, more listened to or welcomed than I have with my pet. She and Her Cat demonstrates this private sphere so many of us hide from the world, refusing to acknowledged our insecurities and failings, both real and imaginary. With a delicate touch, this piece exposes astute observations on depression and millennial expectations, and the unfathomable vastness of grief. I stumbled on this randomly and was not prepared for it to hit me as hard as it did. This is very beautifully done. My first and only cat died two years ago from old age and this just brought back all kinds of memories. Very sweet, make you want to have a cat! Let me tell you, if you have a cat and you love that little booger with all your heart this show is gonna HURT. BUT but it also heals your heart and the art is so pretty. For such a short anime it sure brought out some emotions in me and still made me feel happy in the end. Would definitely recommend if you're looking for a short, enjoyable show with gorgeous scenery. What a cat really thinks about what what a human really thinks. Reminiscent of The Art of Racing in the Rain in many ways. A cat interprets her master’s life with less data, but more mature understanding, than the human. The deep caring expressed through this is what makes it worth watching. Only a handful of episodes but it’s just right. This is for all the pet owners out there. This shows the perspective from a cat's point-of-view while also telling the story of a young girl struggling to make her way in the world. Tears all the way through, but I'm happy I watched this anime. I love the simplicity of the story, yet it felt deep and evoked a lot of emotions. 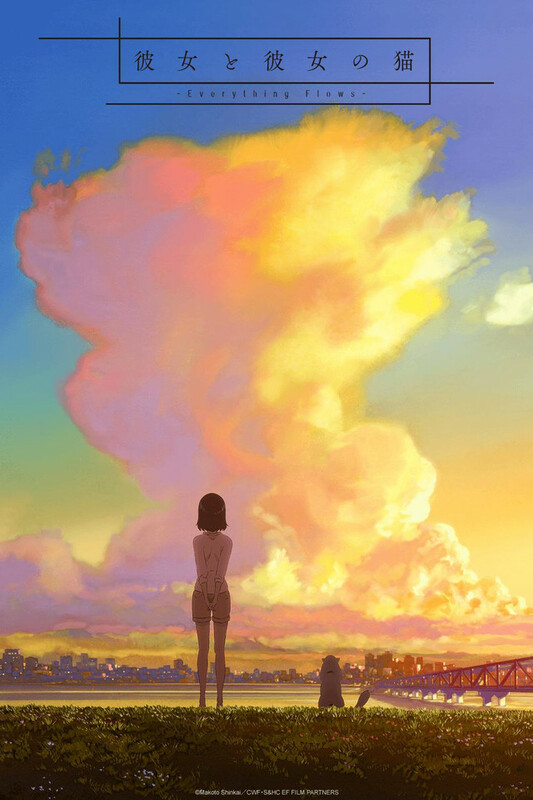 Makoto Shinkai is one of my favorite directors ever, and I was happy to finally watch this piece too. I'm not actually a cat person, but this show is so much more than just a cat. It has so much emotion in the little things, and brings up bigger topics and struggles of life. All of this with a beautiful OST and pretty animations. The anime is narated by the cats point of view. The tone is calm and smooth and each episode shows how much love and compassion he has towards his human. Each episode had me tearing up as it was clear where the path was leading us as it introduced us to the cat already being a senior. Even though each episode is only about 7 minutes long and there are only four of them. I highly recomment watching this heartfelt adventure.